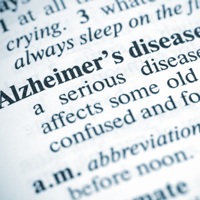 A recent report from HealthDay revealed that the number of casualties caused by Alzheimer’s and other forms of dementia may actually be higher than what is reported. Currently, Alzheimer’s disease accounts for nearly 85,000 deaths each year, but researchers believe the true number to be closer to 500,000. The reason: Many times, the immediate cause of death that is written on a death certificate fails to recognize that the cause of death was actually related to the fact that the individual suffered from Alzheimer’s. For example, as Alzheimer’s disease progresses, individuals lose their ability to process certain commands such as chewing and swallowing, often leading to death by asphyxiation - but the death certificate may state that the cause of death was choking.